This is the only event only event of its kind covering the South Eastern European region. The event brings together the most active international and local developers, bankers, investors, lawyers and other CRE professionals operating in the region. It includes a morning of high-impact discussion-panels covering the regions keys sectors and issues followed by the evening opening cocktails, dinner and awards gala, with networking opportunities throughout the day and into the late evening. 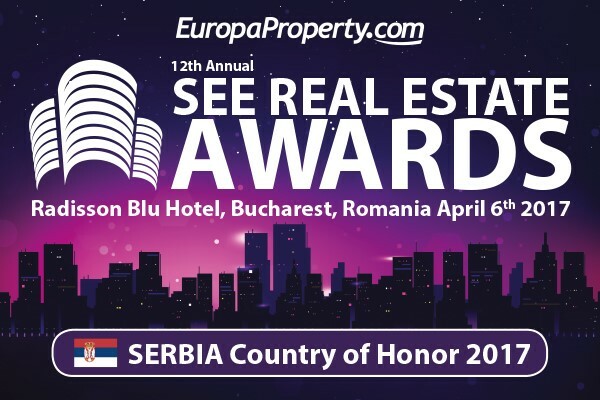 The 12th annual EuropaProperty SEE Real Estate Awards Gala for 2016 will be held at the Radisson Blue Hotel, Bucharest, Romania on April 6th, 2017. Last year’s Gala event was attended by more than 250 industry professionals from major companies operating in the South-eastern European commercial real estate, investment and construction industries. © 2010 - 2019 Serbian Private Equity Association. Website developed by Vladimir Jelovac.